It is with great sadness the Sewall Family and Rodeo World announce the passing of our Uncle Al Sewall on Friday, June 27, 2014 at the age of 82 years. Al was born in Medicine Hat and raised in the ranching community of Patricia Alberta, He moved to Calgary in the 1950’s where he worked at the Calgary Stockyards and later as a Brand Inspector for Government of Alberta, He then went on in later years to drive cement trucks for Burnco and LaFarge. Al was a kind, humble and generous man, who always had a place for cowboys, friends and anyone who needed a place to lay their head. Al is survived by nieces and nephews Sylvia Foster, Susan Whitney, Larry Smith, Darryl Big Plume, Anita Sewall, Shane Sewall, Michael “Cowboy” Big Plume, Shirley Sewall (Donald), Jimmy Sewall Jr; their numerous extended family members; also Granddaughter in Spirit Zoe Todd. Al was predeceased by his parents Larry and Sarah Sewall; siblings Jim Sewall, Lorraine Smith and Shirley Anne Sewall; son JJ Sewall; daughter Lorraine Sewall; Ex-wife and Life Long Friend Royce McGowan-Sewall-Milton. [S205] Newspaper, Concord Enterprise August 27, 1919. [S34] Unverified internet information, http://ftp.rootsweb.ancestry.com/pub/usgenweb/ma/middlesex/… [August 2008]. [S392] Website findagrave.com (http://www.findagrave.com/) "# 90642200." [S231] 1930 US Census, Maynard, Middlesex, Massachusetts. There are various versions of his death. The Times-Picayune reports: Fatal Affrays at Shreveport. - On the evening of the 20th instant Rufus Sewell, of the firm of Robinson & Sewell, of Shreveport, in this state, was killed in an affray that took place in that town. It appears that in the early part of the day blows were exchanged between Charles Sewell, the brother of the deceased, and Dr. Hardwick ; that in the evening the deceased and his partner, Robinson, met Dr. Hardwick and one Hartsborough ut the tavern, when Sewell was knocked down, and while down a cut was inflicted with a bowie knife in his abdomen, of which he instantly died. The Natchitoches Herald of the 25th instant mentions another affray which took place a short time previous to the above at Shreveport, in which Charles A. Sewell, a brother of Rufus, was wounded and a man named Matthew Edwards killed. One Boyle in the first place attacked Sewell in a grocery with abusive language and on the letter coming out fired a pistol at him, wounding him in the leg. Edwards took Boyle's part, but on the arrival of police officers fled. He was shot, however, in endeavoring to make his escape, but Boyle was arrested. Fine times, truly, at Shreveport. [S364] Eben Graves, The descendants of Henry Sewall. Vol. II (Unpublished), #146. [S205] Newspaper, The Times-Picayune, 4 July 1842. [S392] Website findagrave.com (http://www.findagrave.com/) "# 7425836." Acquitted: Mr. John Arnold, who was indicted by the grand jury of this parish for the murder of Capt. Rufus E. Sewell, in this city, in December last, was tried at the late term of the district court for the parish of DeSoto. Judge James I. Weems, presiding, on a change of venue, and acquitted. The South-Western, Shreveport, Louisiana, March 18, 1868. [S109] 1850 United States Census, Shreveport, Caddo, Louisiana. [S205] Newspaper, The south-western, 11 December 1867. [S392] Website findagrave.com (http://www.findagrave.com/) "Find A Grave Memorial# 11025227. Note added by David Hill." [S232] Ancestry.com, Louisiana Confederate Soldiers. Confederate Research Sources Volume 3. He was for several years a Representative in the Legislature of Maine at Portland and Augusta and Deacon of the Congregational Church in Edgecomb. He wrote a History of the Congregational Church, Edgecomb: embracing articles of faith and covenant, and a full schedule of members. 20pp. 12mo. Portland: Stephen Berry, Printer, 1871. [S205] Newspaper, The Congregationalist, (Boston, MA) Wednesday, June 09, 1880. [S160] New York Times, 18 April 1903. [S216] Anon, Graduates of Bowdoin College, p. 184. Rufus Lentner Sewall, aged 49, a stockbroker, of 10 Gloucester st, died yesterday of pneumonia following influenza. Mr Sewall was born in Boston, the eldest of three sons of William Bull Sewall of the Sewall & Day Cordage Co. He attended Mr Noble’s school. During the war Mr Sewall was interested in Red Cross work and was about to go to France when the armistice was signed. He was a member of the Union Club and of the Nahant Club. Mr Sewall leaves a wife, who was Miss Juanita C Hewitt of Ardsley, NY, and a young son. Rufus L. Sewall Jr.
His mother is now living near the Riviera. His brother, Harold Ingalls Sewall, is in Porto Rico, and the other brother, William Gilman Sewall, is in British East Africa. The Boston Globe, 26 February 1919. [S130] Massachusetts Vital Records, Vol: 216 ; Page: 75. [S160] New York Times, 27 February 1919. [S205] Newspaper, Boston Daily Globe, 28 February 1919. [S232] Ancestry.com, U.S. City Directories, 1822-1995. [S232] Ancestry.com, WWII Draft Cards Young Men, 1940-1947. [S206] 1920 US Census, Whitefield, Lincoln, Maine. [S392] Website findagrave.com (http://www.findagrave.com/) "# 83986015." [S205] Newspaper, New Castle News, 11 October 1984. [S474] George Thomas Little, Genealogy of Maine, p. 53. [S83] NEHGR, Vol. 116 p. 305. [S83] NEHGR, Vol. 118 p. 155. [S392] Website findagrave.com (http://www.findagrave.com/) "# 125238423." [S392] Website findagrave.com (http://www.findagrave.com/) "# 137471217." [S205] Newspaper, The Massena Observer, 20 May 1954. [S102] Annie Haven Thwing, Inhabitants of the Town of Boston, 54164. [S24] Sarah Elizabeth Titcomb, Early New England People, p. 221. [S102] Annie Haven Thwing, Inhabitants of the Town of Boston, 54168. [S205] Newspaper, Essex Gazette, From Tuesday, January 15, to Tuesday, January 22, 1771. [S312] Lorenzo Sabine, Loyalists of the American Revolution, p. 278. 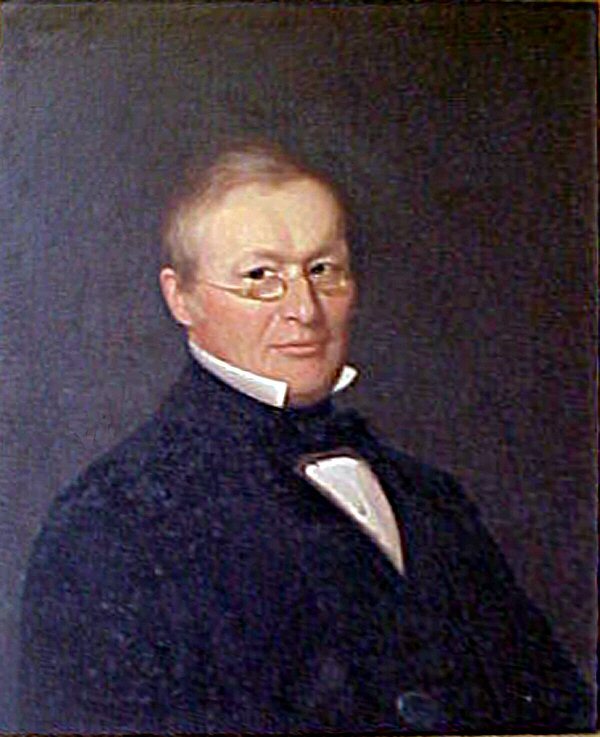 Samuel Sewall. Soap boiler of London. He was born say 1630.2 He was the son of Richard Sewall and Mary Dugdale.1 In 1646 by the terms of the will of his Aunt, Margaret Randell, he was due to receive "my close or pasture called Quarry field, without Newgate on the West side of the Cawsey or pavement leading from Coventry towards Whitley on the London road. "3 Samuel Sewall died after 25 April 1664.